It was the best of times. It was the worst of times. Tim and I were young and so in love. We had been married only four months. 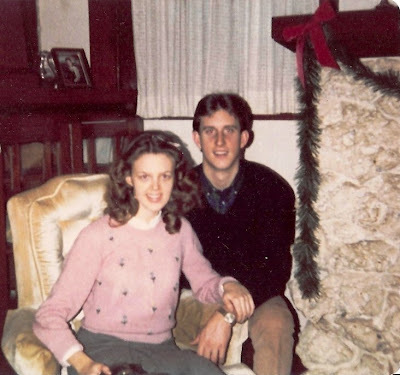 I was so happy to be married and celebrating my first Christmas with my darling husband. 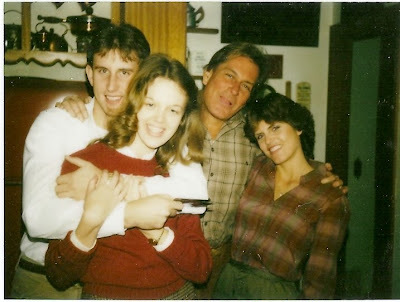 The sad part was that Daddy died three weeks after Tim and I married, and it was the first Christmas without my daddy, the first man in my life, who adored me and had always made Christmas such a special time. 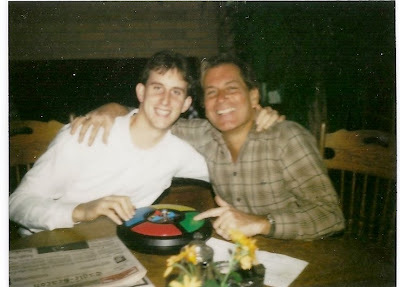 Tim and I didn't have much in the way of material things that year. He was a senior in college, and funds were tight. But, it didn't matter. Our love was enough. We didn't have a tree that year - no money for one of those or lights or ornaments. We had Christmas early in Kansas with Tim's parents. They already treated me like a daughter, and I loved them. In addition to brightly wrapped packages of lovely gifts, they gave each of us some Christmas money. Oh, I was so excited about having some money to spend. Maybe some new clothes. That would be nice! On Christmas Eve, we set out on our journey to spend Christmas in Arkansas with Mother and my brother, Mark. Near Jennings, OK, our car, an old Buick that had belonged to Tim's grandfather, broke down. Long story short, we finally found a kind mechanic, who took us in and repaired our car on Christmas Eve. He even skipped a family gathering that evening to take care of us. But it took all of our Christmas money. I had to forget about new clothes. We arrived at my mother's home late that night. It was so different from any Christmas I ever remembered in my childhood home. No tree. No colored lights. A few packages. We tried to carry on, but it just was not the same without Daddy. Of course time helps us to heal. But, every Christmas I think of Daddy. I'll be in a store somewhere and see a display of Old Spice, his favorite men's fragrance, and my eyes fill with tears. I'll get an American Girl catalog in the mail. As I peruse the pages of all the fancy dolls, I think back on some of the dolls I opened on Christmas morning: Suzy Smart, with her own school desk. Nancy Nurse, with her canopy bed. Thumbelina, who moved her head and seemed so much like a real baby. It was Daddy who bought my dolls. Mother always said he just couldn't wait. That he would go out and buy my doll before she had a chance. I miss my daddy this Christmas. And my mother. I am so thankful that Tim and I will be spending our 28th Christmas together. God has blessed us through the years. There will be trees and lights and packages. Fun and laughter with my brother Mark, his wife, Kim, and my niece and nephew, Natalie and Brock. The sheer loveliness of a quiet day with my darling husband and our precious son, John. And most of all the peace of God, which passes all understanding. Tim and Dad playing "Simon." Nina Brooke, thank you so much for leaving this comment! I love it when people share memories of my parents. Mother was a great cook, wasn't she? And fun! She loved you girls. Your daddy mentions my daddy to me from time to time. He always says, "Sam Brockinton was a good man." Makes me feel so good. I have such good memories of you as a little girl in my class. I have a post coming up soon about our class and the gingerbread village. You are in the picture - such a darling and sweet little girl!